There are 11 posts in this thread, and it has been viewed 7391 times. 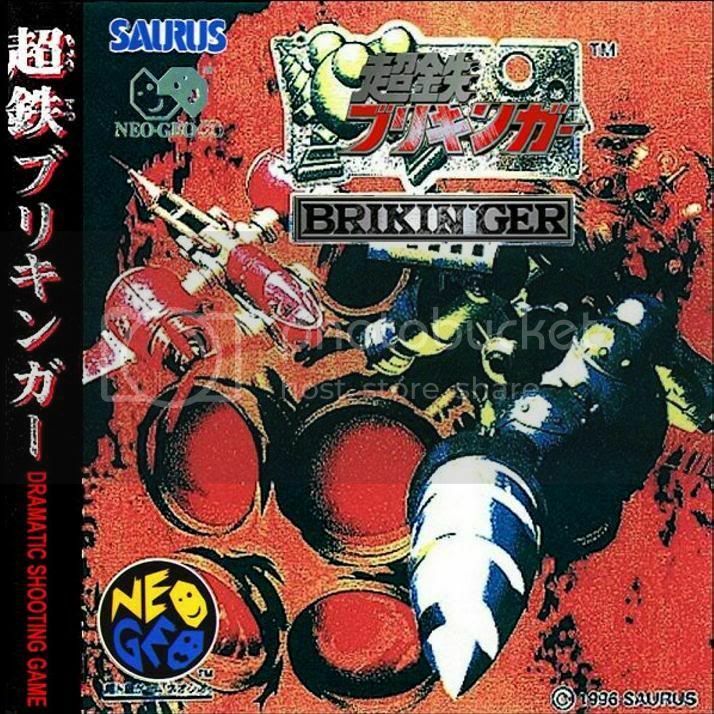 Known as Choutetsu Brikinger in Japan, Ironclad is one of the most sought after NeoGeo CD exclusives, and the first NGCD exclusive to be convered as our Game of the Week! Ironclad is a 1996 horizontally scrolling shooter by Saurus. It was released exclusively for the NeoCD, with an MVS version apparently completed but never released. 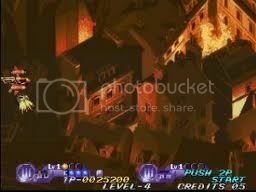 In 2010 it saw a re-release on the Wii's Virtual Console, and it turned out to be a rom of the unreleased MVS version. Hackers were able to extract the rom and now bootleg copies of the MVS version exist. 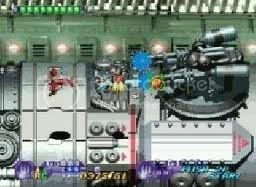 It's considered an easier shooter when compared to others in the genre on the NG, like Pulstar and Blazing Star. Still, it's often praised for it's multiple pathways which greatly increases the replay value. Good choice for GOTW its nice to see a NGCD game selected for a change. Ironclad is a game that I have the pleasure of owning ( thanks Merlin) and a game I wanted to play after hearing about it. Its a nice little shooter and pretty impressive for a cd game as it has multiple paths and some very nice graphics, loading times are ok to. 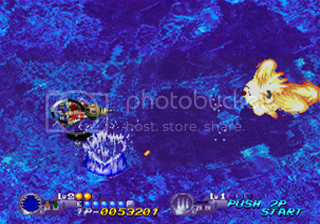 Its by no means in the league of Blazing Star but its a better game than Zedblade and maybe Prehistoric Isle. It makes me wonder if Shock Troopers would have been possible on cd judging by this game with its many levels and detailed graphics. If you get the chance then this game is well worth buying/playing its a charming & unique little shooter which because of its limited release on a unloved console ( NGCD) is often overlooked. 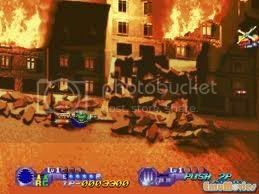 This game is awesome, definitely up there as one of the best Neo Shooters and in my top 5. Sadly I will never own an original CD copy of this game.. the CD is going for up to �200 now, but I do have a nice MVS cart of it, so all is good. Looks like it is time to stick it back in the Cab. At last Ironclad on GotW! A good shooter, but honestly a little flat. Ironclad is a pretty good Shooter in any terms, I even dare to say it's Saurus' second best game right after the first Shock Troopers. Saurus' typical pre-rendered graphics are pretty good on this one (although they have a few rough edges), the music is enjoyable and the gameplay, including the three different planes and the use of the "Force" drones, is brilliant. Good stuff by all means! It's actually a shame the game is so hard to find, as it's really worth a playthrough or two. But if you search thoroughly you may be able to find a MVS rom dump based on the Virtual Console release that works with some versions of MAME, FBA and even good ol' NeoRageX. I believe this is a good game. The gameplay is arcade quality. There is nothing really outstanding here. I like how the player can choose one's path throughout the game. Cave would borrow this idea in Deathsmiles, many years later. 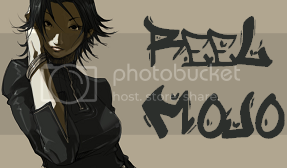 I wrote the FAQ for this game on Gamefaqs � only one of its kind. As I've never owned a CD system I really haven't had a chance to play this. I don't want to get it on the Wii VC, but it's amazing that Playmore actually released it there. Well SD, I don't know where to get an AES copy, but it turns out they do exist! And at least this guy's copy came CIB too! I can't even imagine how ridiculously expensive that must be. The copy shown in the video must be one of these MVS conversions which popped out after the release of the Wii Virtual Console release. These cost about $300 and can be found occasionally at Ebay. My Wii to AES conversion. Fun game to play and own.